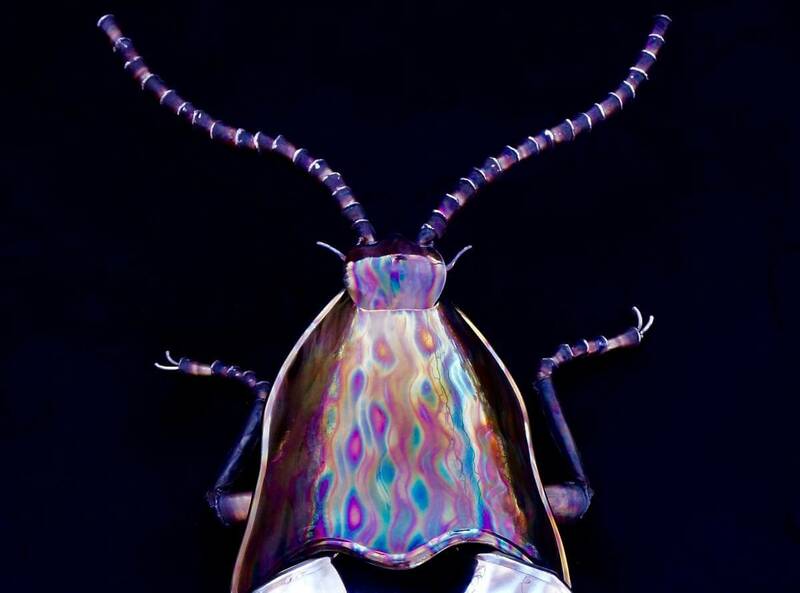 This polished metal beetle sculpture is wall hanging and is handmade entirely out of stainless steel. 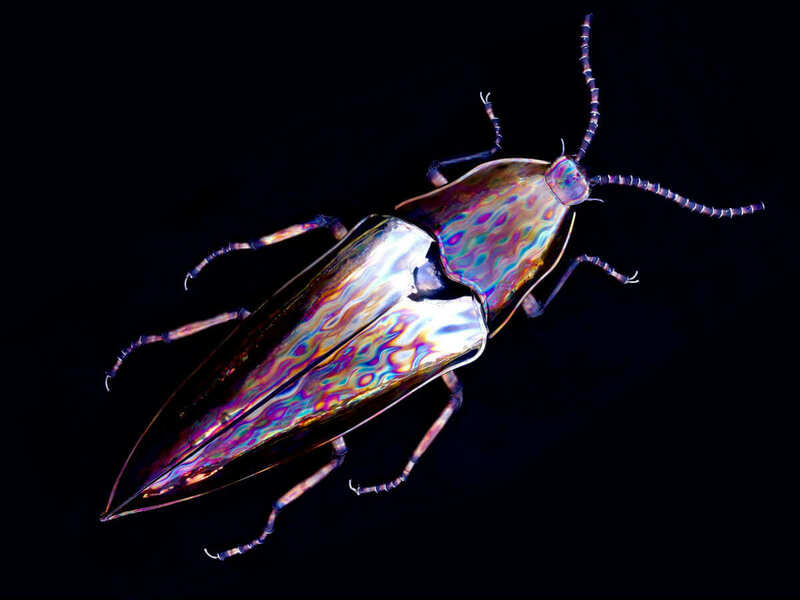 I have always been drawn to iridescent beetles and in my searches i found this one (Campsosternus mirabilis). This project was very time consuming as i had to polish the shell to a mirror finish before coloring. Many coloring techniques failed which meant repeating the polishing process but finally i figured out this color pattern and though slightly different than its natural form I love how it turned out! Also it doubles as a fun distorting mirror that really embellishes goofy face competitions. This sculpture must be kept indoors.